Stephen Crouch is a Frankston High School maths teacher who moved to Australia from India when he was a child and now calls Cranbourne home. Stephen chats to Mornington Peninsula Magazine about his passion for teaching, the wacky online world of today’s teens, and why he loves where he works. I've loved mathematics since I was a little kid, and as time passed I knew that I wanted to pass this passion on to the next generation. I really believe that education makes an immense difference, so to be part of that is humbling. Besides, I have heaps of fun teaching and my students are really enthusiastic. What current teen trends baffle you? There are a lot of acronyms and abbreviations that I have trouble understanding. I also notice apps such as Snapchat being used more often than they probably should, which does baffle me. Is there anything about school in India that you would like to see in Australia? The content that is taught in India is at a higher level — for example, there are topics I learnt in Grade 6 in India that aren’t learnt until Year 9 in Australia. 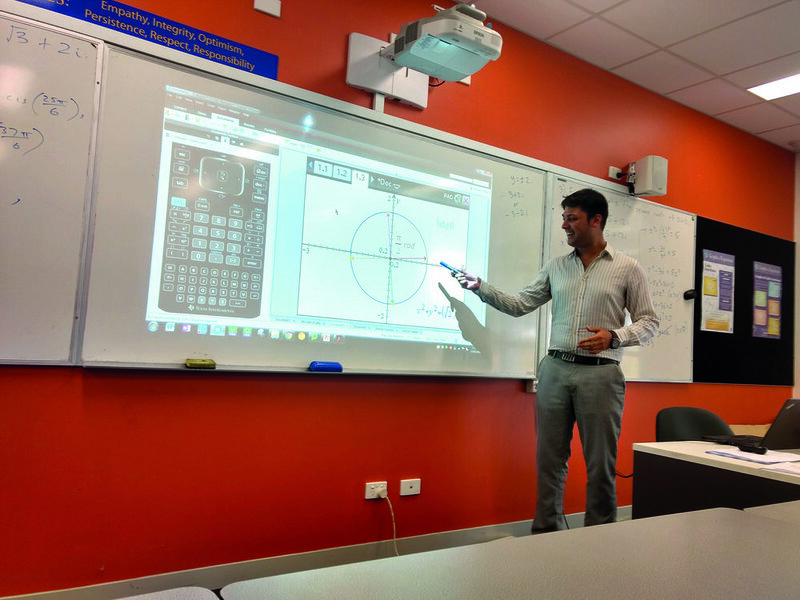 So the maths content in Year 12 in India has a few explorations that we don't get the chance to carry out here in Australia, and it'd be nice to see an opportunity to carry those out here. What makes working at Frankston High School so great? The learning culture here is amazing; students love learning and the staff love helping them succeed. Parents play a very active role in their child's education, and the school encourages communication to help further educational outcomes. The principal and staff are also all very friendly and supportive. I love Frankston High School!